The fun part of being a freelance illustrator is that you can work with different type of clients, and sometimes get to do interesting projects which you would not normally think of yourself. Last December, designer eyewear brand Warby Parker invited me to do a holiday button making event with them; I drew portraits of people who came to the store on little pieces of paper and made custom buttons out of them, and it was lots of fun. 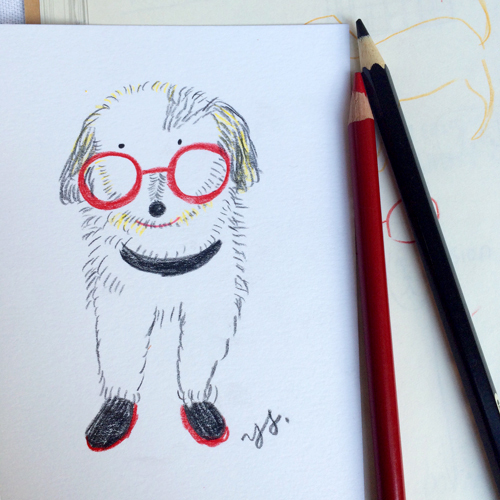 So when Warby Parker asked me if I would like to do another live drawing event with them for April Fools' Day this year, of course I said yes - and what's even better this time was I got to draw dogs!!! Doggie is excited for her portrait! There were snacks and even glasses for the dogs! 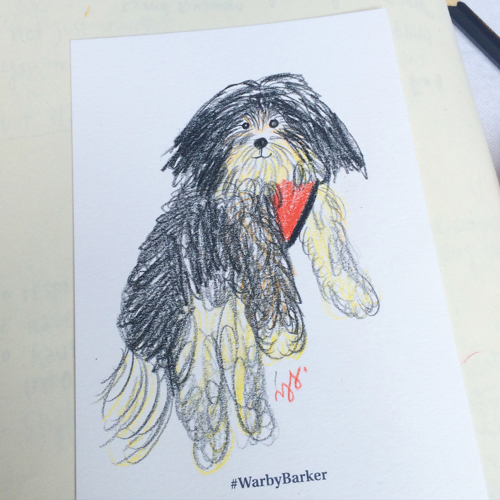 The event was called Warby Baker; people brought their beloved dogs to the store and illustrators Michael Marsicano and I would do quick portraits of the dogs(with or without glasses) and gave away to the owner. 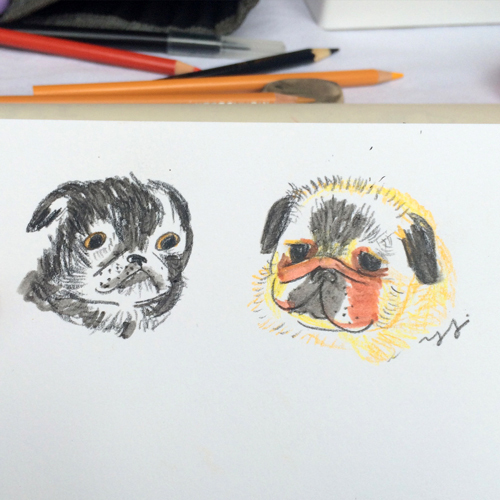 We met SO MANY cool dogs and I found my daily sketchbook practice came in handy - we drew dogs non-stop for three hours! Mike and I have very different styles and it was so interesting to see how we drew the same dog differently! Mike has a more realistic style with watercolor paints and I like to use colored pencils and have a more simplistic style. Mike and I working on dog portraits. 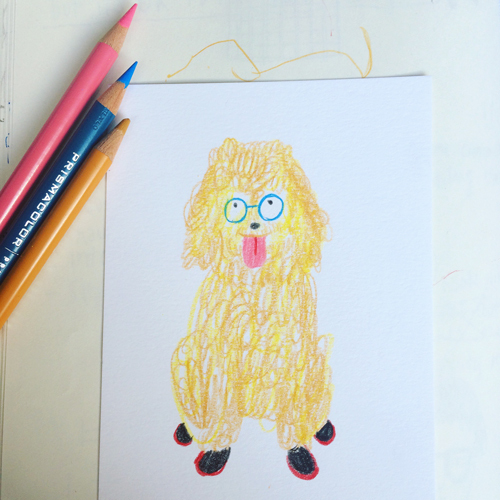 It's hard to make the dogs sat still so we took a photo of the dog first and then drew from the photo. Here are all my dog portraits from the night... enjoy! l love this half Brussels griffon half pug named Inky! It was such a fun and successful night! 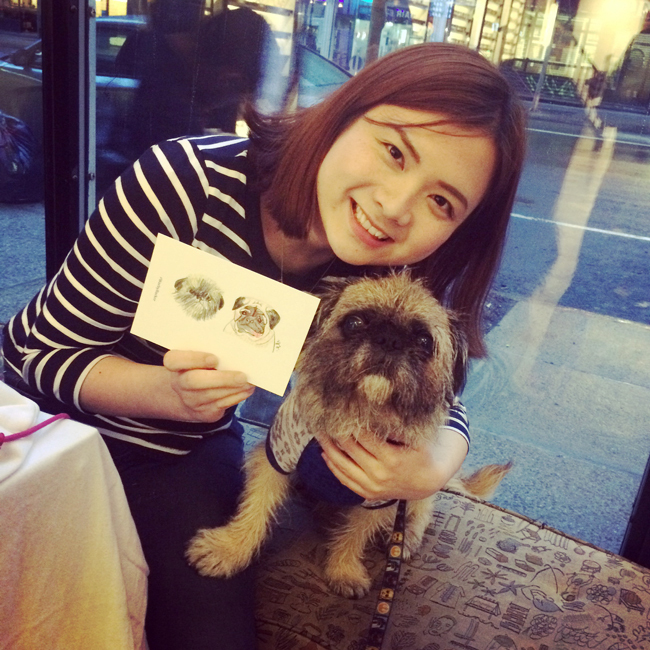 After this event, my dog drawing skill has up to a new level and so does my fondness for dogs! 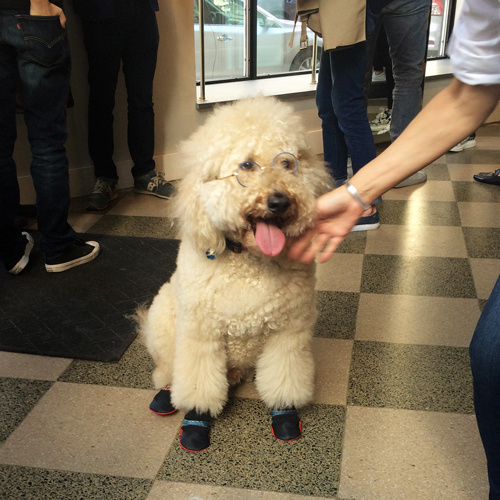 Thanks Warby Parker for organizing this and thanks for everyone who came to the store with dogs!